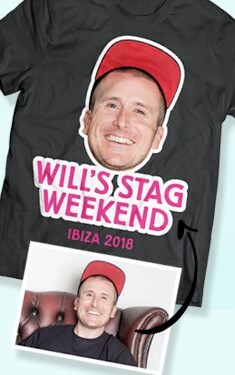 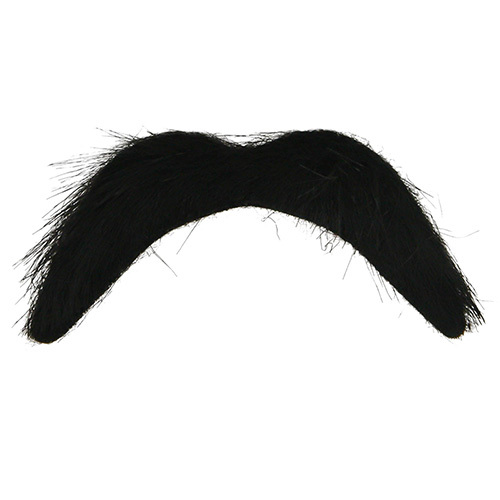 You know those times when you’ve gotten yourself all dressed up in your finest glad rags, perfectly styled your voluptuous moustache and still felt as there is something missing? What you need is one of our fabulous Mullets On The Go to really finish off your undoubtedly daring ensemble. 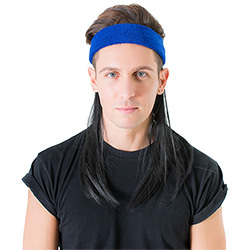 Perfect for the part time party king, the Black Mamba is a daring take on this classic do. 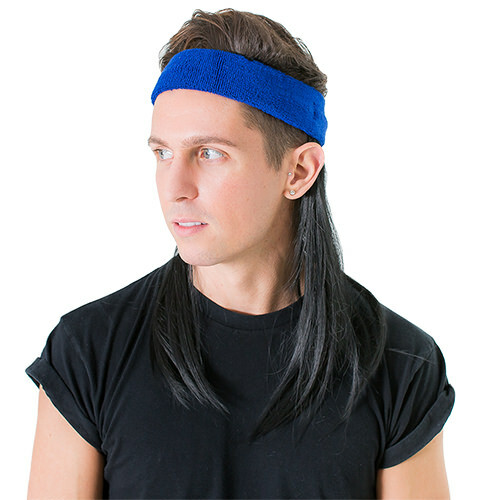 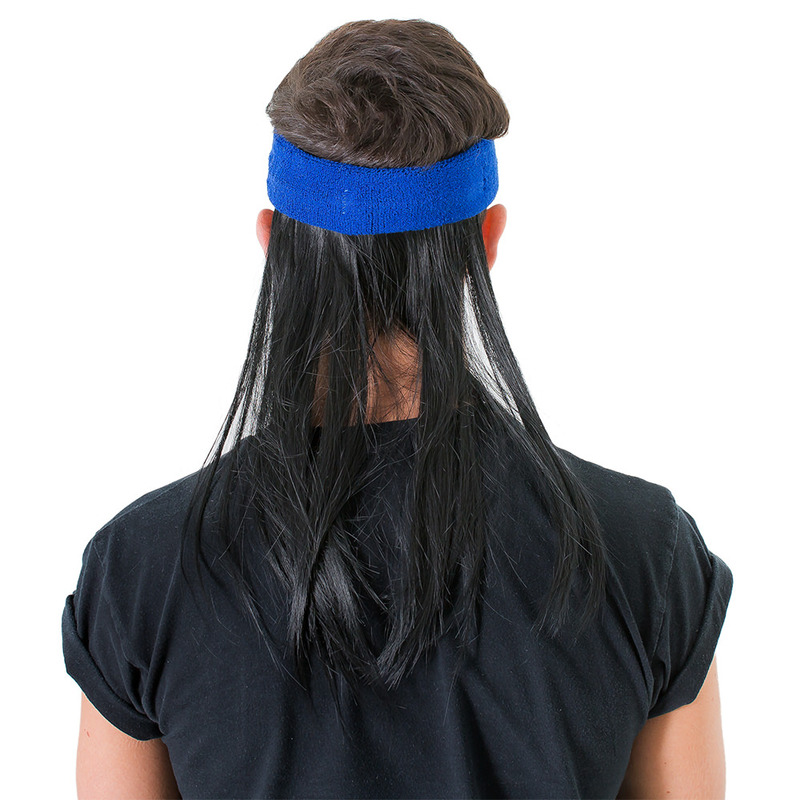 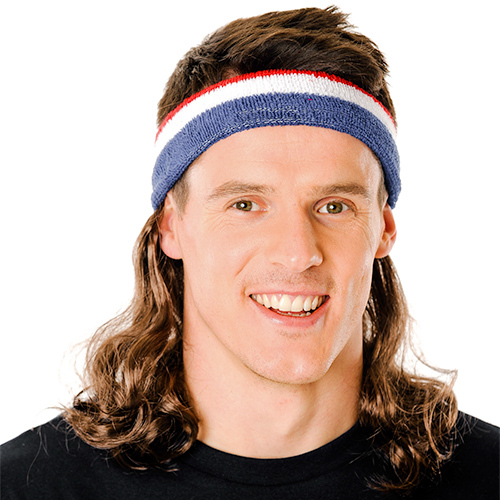 With one full foot of sleek synthetic mullet to play with you can create whatever look you want, the bright blue headband is comfy that you’ll never want to take it off.